Morning <<First Name>>, I hope to see you tonight at Chelsea Boxers for OutRight's Young Professional Engagement Committee Happy Hour - also RSVP for an exclusive event at the United Nations! Nearly 40 years ago, Anita Bryant destroyed some of the few pro-gay laws in place. 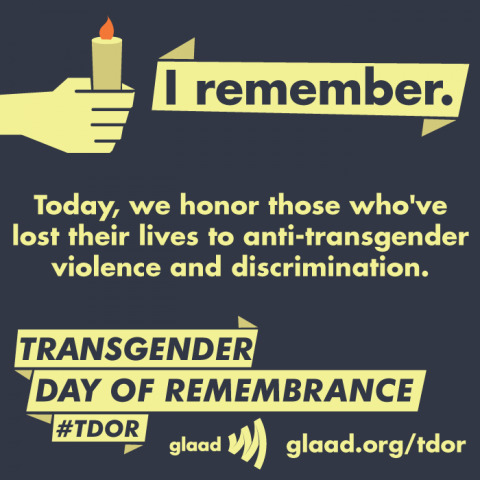 Today, ignorance prevails again as foes vilify transgender people in the same way, as rapists threatening children, even while trans people are murdered weekly simply for being. Honor & remember those killed tomorrow - and pledge to fight ignorance. It's White Party week in Miami if you're headed for warmth this Thanksgiving - but of course you'll find amazing parties in all major cities around the US - I'll likely be at the Saloon in Minneapolis where I'll be home with the family! Love to hear from you about where you're going. Ukraine passed LGBT protections in the workplace last week - a key measure to continue a path towards EU integration - but they may not last long due to a new comprehensive labor law taking affect. Kenyan Parliament stopped pursing a law that would have imposed stoning and death for LGBT people; stating that the current 14 year prison sentence is adequate. Russia's propaganda machine is at it again - falsifying docuements that the US Embassy collaborated with an LGBT activist to out Russian politicians; the US Embassy corrected the unbelievable letter. Here is hope for Starwood points members - Marriott may not pillage your points in the planned Marriott takeover of Starwood hotels. Find out all the details about last weekend's Pride in Buenos Aires! Last weekend was also the 20th anniversary of Pride in Rio. Whether you live here - or are coming soon to visit - it's worth noting the top 5 views of New York City courtesy of the Globetrotter Girls. NYC. Tonight learn how to participate at this year's OutSummit at Chelsea Boxers with OutRight Action International's young professionals (YPEC) happy hour. NYC. Tomorrow for lunch at the UN attend the UN Free & Equal campaign event celebrating the premier of the new campaign video by Brazillian Daniela Mercury! NYC. Learn about policy strategies to address LGBTIQ people in Iraq and in ISIS controlled areas on Tuesday at Hunter College - OutRight ED Jessica Stern and other movement leaders will attend. Upcoming! NYC. OutRight Action International will bring over 50 activists to the UN on December 10th and will hold the first international LGBTIQ conference, OutSummit on Saturday, December 12th.